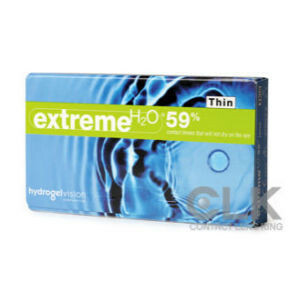 Extreme H2O 59% Thin is a soft replacement lens from HydrogelVision. 6-pack. 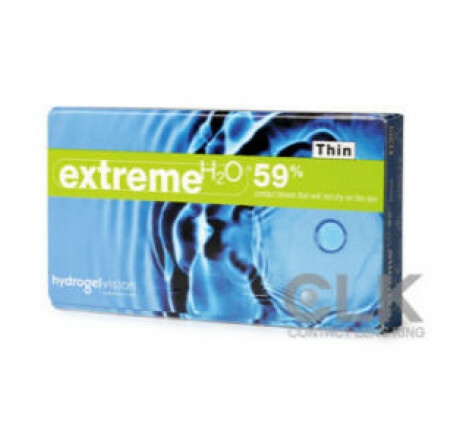 The Extreme H2O® 59 Thin lens retains 99% of its water content on the eye, even under extreme conditions. All lens dimensions and oxygen permeability present in the first hour of wear, will be present in the last. Lens comfort, movement, and fit will be stable throughout the day.